Home 'BOBTAIL' REVIEW Think Fast, Captain Drummond! Watching “Bulldog Drummond (1929)” today – in the decade of 6,000 tweets per second -, may make you feel like strapped in a straitjacket. Its pace is so bumpy and sluggish that you may get feel like you are in the traffic jam. There is always one beat too many between the conversations. There is an uncomfortable silence before an actor utter the lines. To our eyes, Captain Drummond is not a fast thinker; he is rather slow. His charming damsel in distress is being kidnapped three times a day before he ever realizes. He is much slower than our heroes on the screen today, and even slower than himself on the screen a few years later. But he is probably the most easy-going, devil-may-care kind of a guy you will find on screen. And that’s the charm of this film. The pace of the movie actually comes from the fact that this film was made during the time the talkie was still in its infancy. The technology was primitive, and thousands of problems made things difficult for filmmakers. The problem with the noise of equipments, such as cameras and carbon arc lighting, limited the choice of arrangement during the shooting. Also, direction, editing, and performance were still being developed for talkies, and their uncertainties were coupled with technological difficulties. And if you know the other early talkie efforts from the era, you will immediately realize that “Bulldog Drummond” is in fact a fine production. I find many of the aspects of this film fascinating: sets, cinematography, editing and direction. Especially for the film of 1929, “Bulldog Drummond” must have been a striking example of state-of-the-art approach to the filmmaking. Cinematography is credited to George S. Barnes and Gregg Toland. I am not aware of any reference describing, to which extent each of the cinematographers (and the director) worked. But there are many instances of deep-focus frame composition during the course of the entire film. Sometimes, the figures in the foreground are placed very close to the lens (in terms of the 1929’s standard), while there are many planes of staging toward the deep end of the space. This not only enhances our spatial perception of the scene but also allows the multiple actions in different planes at the same time. Of course, Gregg Toland went on to become the star cinematographer during the thirties and the creative force behind the camera in Orson Welles’ “Citizen Kane (1941)”, which is the Deep-Focus film of all time. Art direction is another asset of the film that also contributes to this visually striking composition. William Cameron Menzies designed various extravagant sets for this film. Ridiculously tall doors, a zig-zag staircase, or blank white massive walls are all impressive and perfectly incorporated into the visual flow of the film. 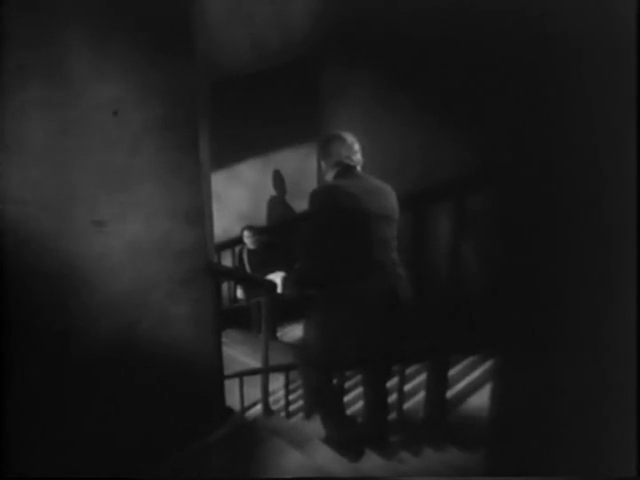 The surreal zig-zag staircase in the Dr. Lakington’s ‘nursing home’ becomes the most suitable stage for the deep-focus frame composition, and monstrous gigantic shadows played on the walls to magnify the dramatics of horror. 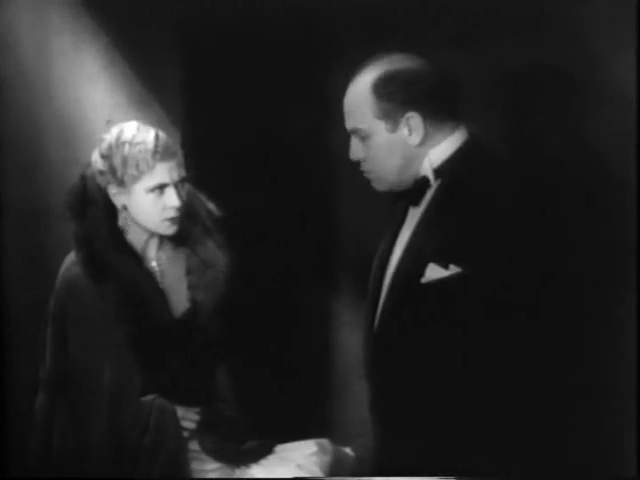 In one of the most surreal scenes, Captain Drummond, while strangulating Dr. Lakington’s neck, talks to Phyllis Benton. His act of killing is shown in the shadow cast on the wall of the next room, while Drummond himself pokes his head out in the door talking toward us. he pokes his head out. 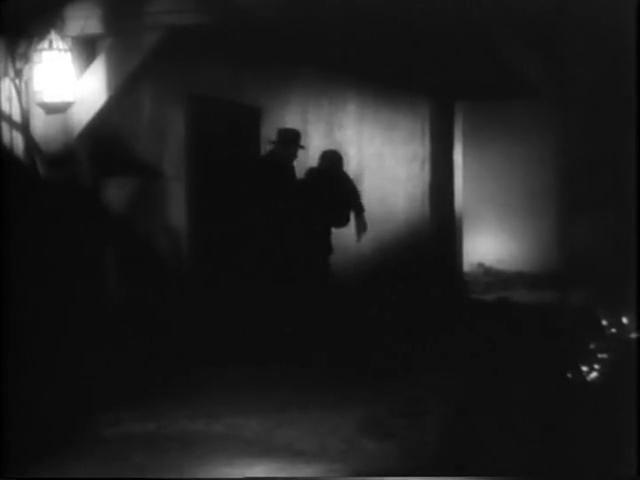 Comparison with “Trespasser (1929)” may illustrate the decisive role Menzies played in this film. 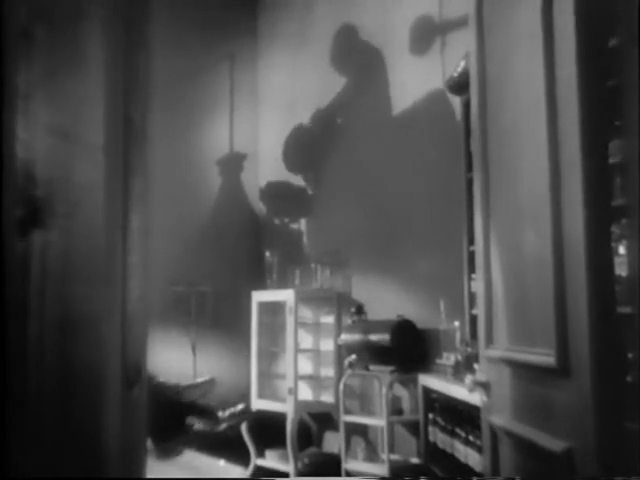 Although the same cinematographer team were employed in the Gloria Swanson’s talkie debut (directed by Edmund Goulding), “Trespasser” is nonetheless visually less bold. Art direction by Stephen Goosson (a very prominent art director himself), though as extravagant as one usually finds in Swanson’s film, is not particularly eloquent in the third dimension. Sometimes we find very unusual staging and editing. ‘Unusual’, compared to the classical Hollywood style, they may be, but still effective and well executed. 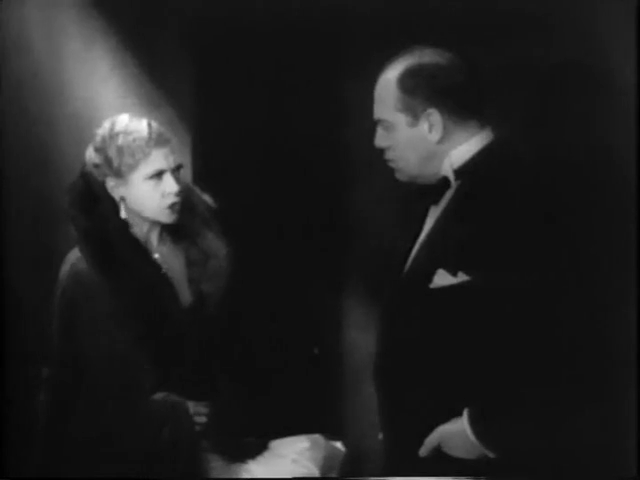 During the conversation among three villains (Dr. Lakington, Ilma, and Carl Peterson), the frame captures a set of two characters conversing, with Ilma always onscreen. 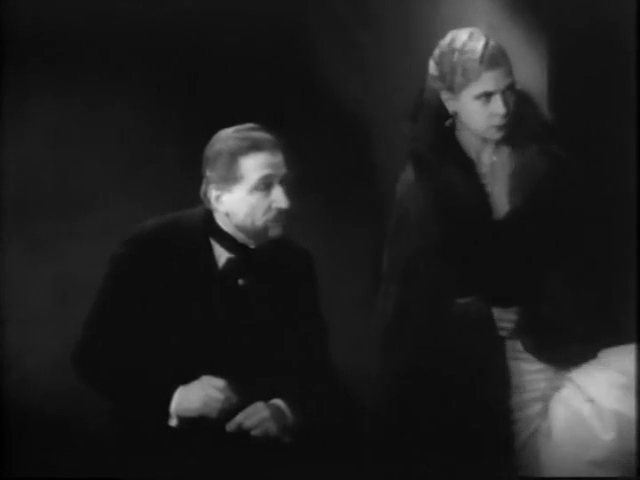 When Ilma turns and start talking to Dr. Laington (2), the film cuts on action and captures Ilma and Dr. Lakington (3). Then, Ilma start talking to Peterson again (4), the film cuts to Peterson and Ilma (5). The camera never captures the three characters in an ensemble. The cuts actually create the rhythm that the film desperately needs. 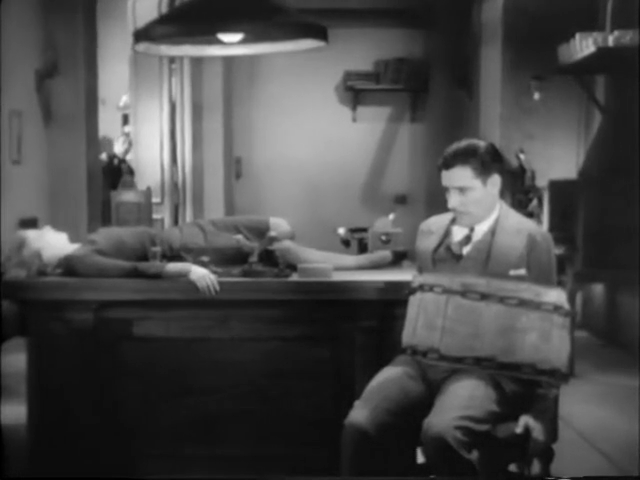 One of the reasons that “Bulldog Drummond” seems somewhat sluggish may be its narrative layout as a suspense. 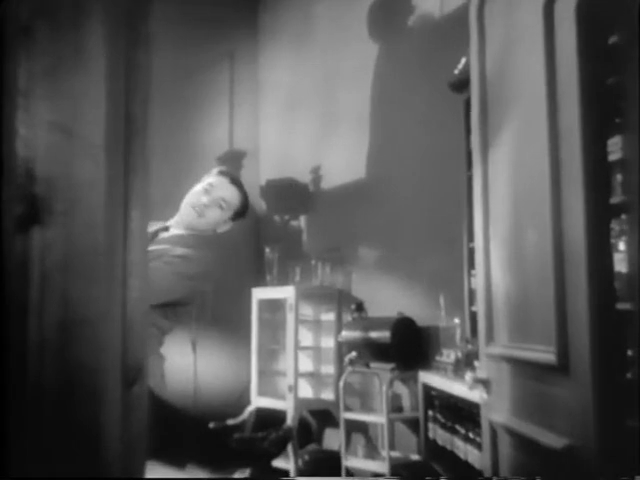 Though Captain Drummond may be able to think fast in his own way, his train of thought is three minutes late relative to the narrative of the film. The audience already knows what happened, what Dr. Lakington, Ilma and Peterson did to Phyllis and her uncle, and where Algy and Danny are bumbling, well before Captain Drummond does. Of course, the audience’s knowledge preceding the protagonist’s is not always damaging, sometimes it is even a foundation of a suspense (as Hitchcock said in his interview), but laying out everything before our eyes (such as the gang masquerading as cops) loses the charm. Also, crosscutting is particularly awkward, either due to editing decelerating the tempo or a little gap between the lines and the actions. I wonder if this is because the filmmakers are rather afraid that the audience may not be able to follow the plot and need some room or imperfections in sound technology (such as a ‘pop’ at a splice) need to be mitigated by having gaps. Some of the earliest talkies have this awkward few hundred microseconds before actors speak or rather ‘talkie’ sequence blocking the flow of the actions. 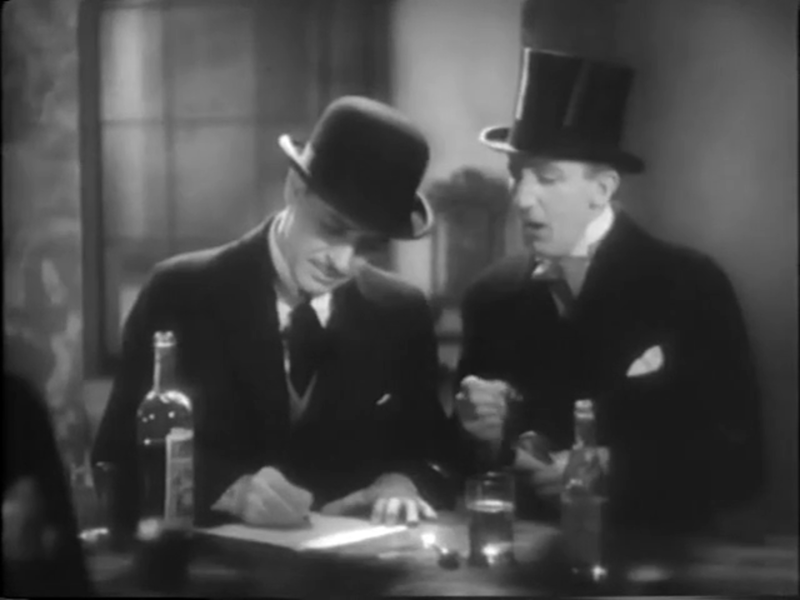 “Bulldog Drummond” has some of it. But, in the end, the flamboyant character of Hugh Drummond, played by ever-playful Ronald Colman, wins. His confident demeanor makes him look like he is thinking fast. His boyish smile makes him look like he is ahead of the game. Even when he was outsmarted, he laughs at his loss as if it was a game of cricket. Well, as he said, he wanted an excitement, and he gave us one.